The year of the Camel Coats and Berets. I have wanted a Camel coat for so long but knew it was going to cost a pretty penny. Then a miracle happened and my grandma gave me a vintage 100% camel hair coat, that she had lying around. It was perfect and in great condition, it has been my go to coat for the winter. It's long, with plenty of arm space to wear long sweaters under. 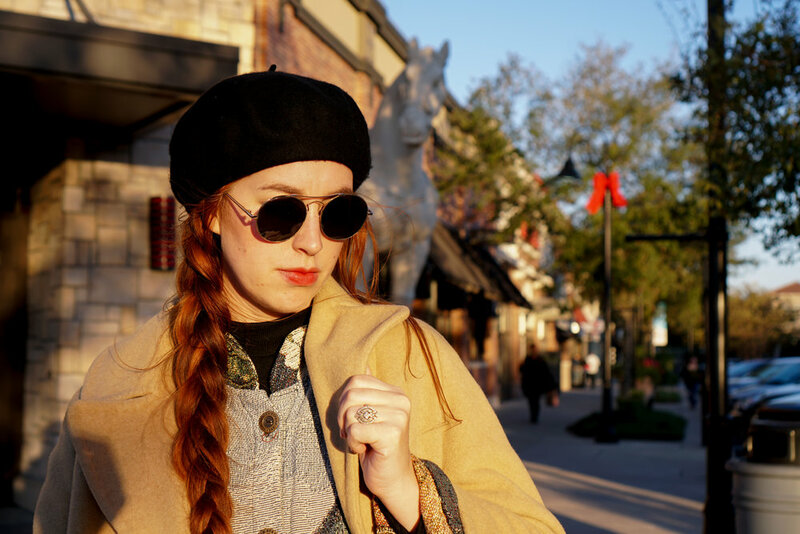 Another discovery this winter is the black Beret. I've always wanted to wear one but felt like it might look childish. Thankfully, after playing around with the placement, I feel comfortable wearing one. I wish I had started earlier, I might need a few colors for next year. Then finally, these shades are still my favorite. I won them in a giveaway for Polette and love them. I wish they still sold them, since these are getting beat up, I have been on the hunt for something similar. Let me know if anyone has seen something similar.